Providing Overnight Retreats & Outdoor Team building Adventures for over 30 years in Lancaster County, Pennsylvania. 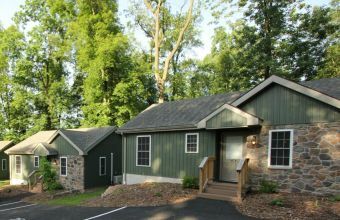 Refreshing Mountain is a year-round retreat and adventure center providing family friendly fun and refreshment for over 30 years in Lancaster County, PA. We provide facilities and services for large group retreats and rent cabins for overnight getaways. 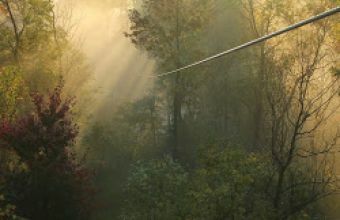 Â We also provide a variety of outdoor adventures, day field trips and corporate team building events with activities including zipline canopy tours, high ropes course, climbing tower, problem solving challenges and much more. 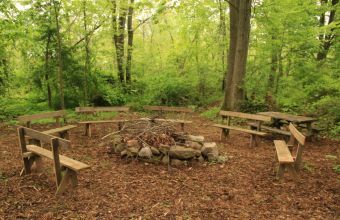 Our center is built on 80 acres of beautiful Pennsylvania woodland and is conveniently located just 25 minutes north of Lancaster, 30 minutes east of Hershey and 90 minutes west of Philadelphia. Come and be refreshed! We provide overnight group retreats. Retreat packages include lodging, meal & facilities. Whether you want to take your team to the next level with a team building event or just want to have an exciting experience for your next birthday party, family or group outing, Refreshing Mountain is the place for your next day event with lots of fun outdoor activities for kids and adults alike! Our cabins were built with you in mind, providing a clean, restive, wholesome opportunity for the entire family. 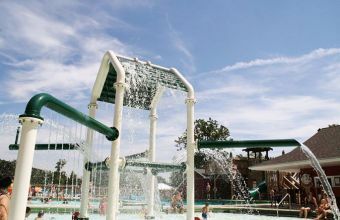 While onsite, enjoy the wet play land in our swimming pool, take a hike on our beautiful woodland grounds or enjoy fellowship around a campfire. Enjoy a 30 ft. water-slide, diving board, wet playground, a brand new pavilion for snacking, and spacious decks for sunbathing. Swimming activities are only permitted when a lifeguard is on duty. As usual, almost all of our clients find us through your website. We really appreciate the relationship!